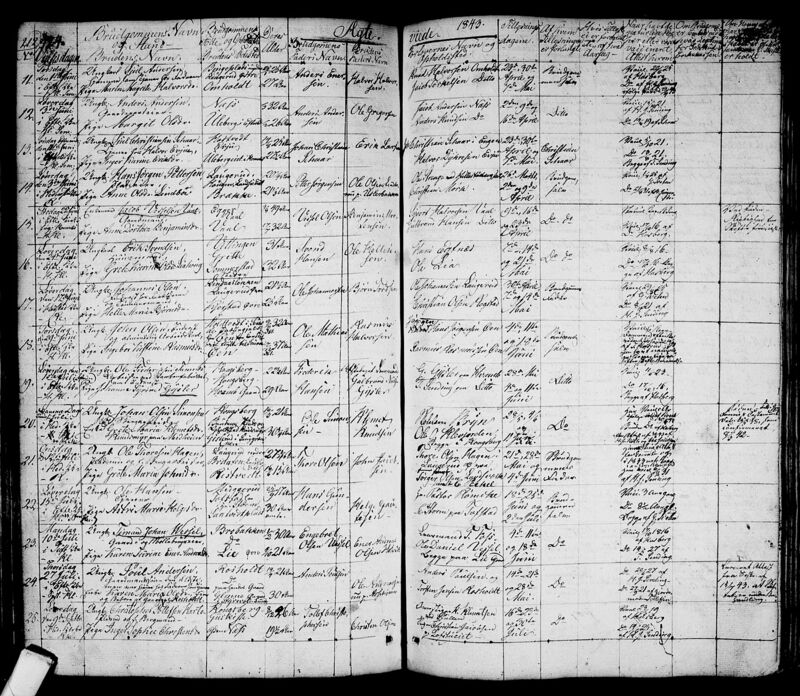 Hans Jorgen Pettersen was born on 23 Jan 1823 at Øvre Laugerud farm in Sandsvær, Buskerud County, Norway to farmer Petter Jorgensen Hovdebo and Maria Hansdatter Aas. 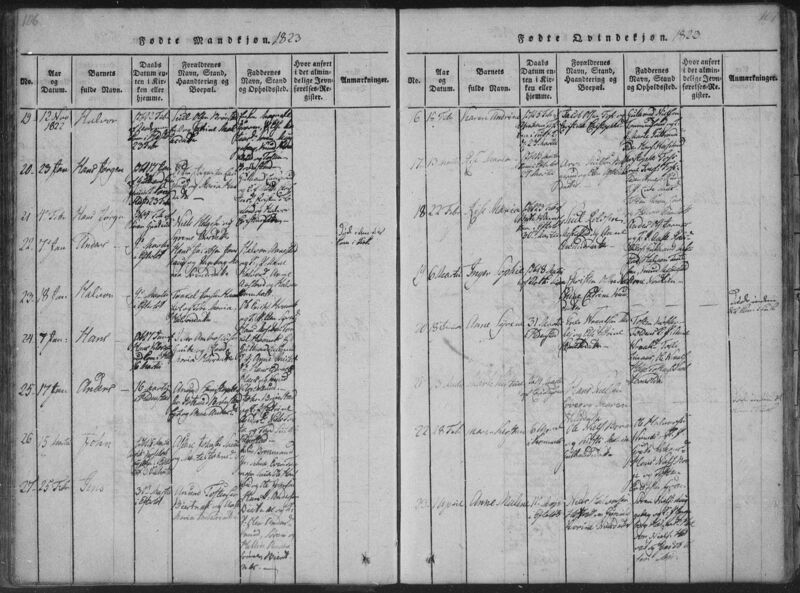 Hans Jorgen was baptized at [Gulbrand Haugens Farm?] on 17 Feb 1823 and again in Hedenstad Church on 23 Feb 1823. Sponsors were Mette Christensdatter, Christen Flogland & Halvor Christensen of Gulbrand Laugerud. Hans' was the second of seven children. His step-sister, Ingebor Serine, was 5 years older than Hans and born from his mother's previous relationship, sister Anne Johanne, was 2 years younger, & Berte Marie, was 6 years younger; his three brothers, twins Johannes and Jorgen, who died only a few days old, were born when Hans was 5, and Jorgen, when he was 9. The family was raised on Øvre Laugerud farm where Hans was surrounded by his sisters. Following his father's death, the Laugerud Farm was willed to Hans and his sister Anne Johanne on 20 Jan 1835. Being that they were both not yet teenagers, it appears the property went to their mother. In the following year, I assume Hans' mother Marie encountered a growing number of problems trying to manage the farm alone with 3 children under the age of 10. Things became difficult enough that on 20 Aug 1836, Marie sold Laugerud farm to Jacob Hansen Klovstad. Around this time it appears that the family found residence at Kjorstad Farm. This was Hans' great-grandfather's farm, and although he passed away long before Hans was born, it's likely there were still relatives on the property (descended from his father's uncle Halvor?). 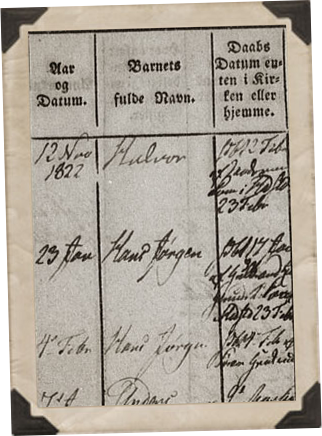 Hans was confirmed at the age of 13, on 23 Oct 1836 in Hedenstad Church in Sandsvær, signaling Hans' transition to adulthood and his lawful clearance to take a job. At this point he likely found work as a seasonal farmhand doing shared jobs on neighboring farms. Near the fall of 1842, Hans became close with a local girl named Anne Olsdatter Lindboe who had been living in the Landsverk area at Brække farm. The two had grown up together in Hedenstad Church, and likely met each other through the church as they both were in the same class of kids receiving confirmation together in 1836. 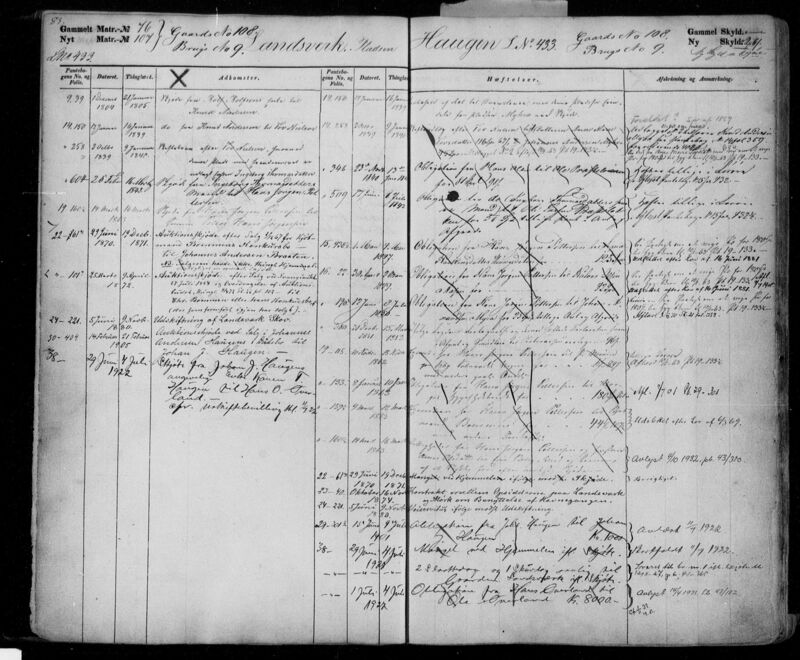 In 1852, when Hans was 29, his mother passed away at Aajordet Farm in Sandsvaer. This being said, they didn't immediately move anywhere. 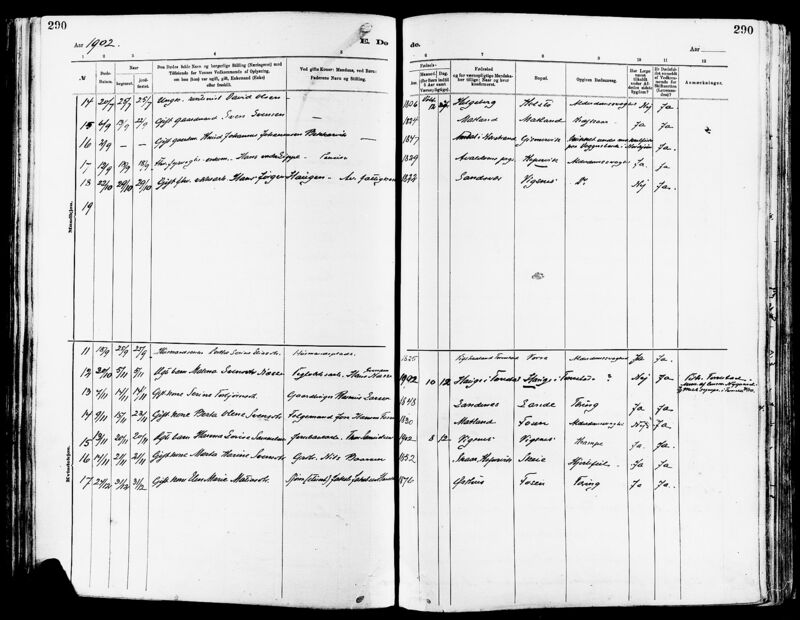 The family stayed at Haugen Farm and can be found there on the 1865 census. By this point, Hans Jorgen is working odd jobs as a day laborer or "Løsarbeider", most likely for his son Petter and possibly his neighbors as well. 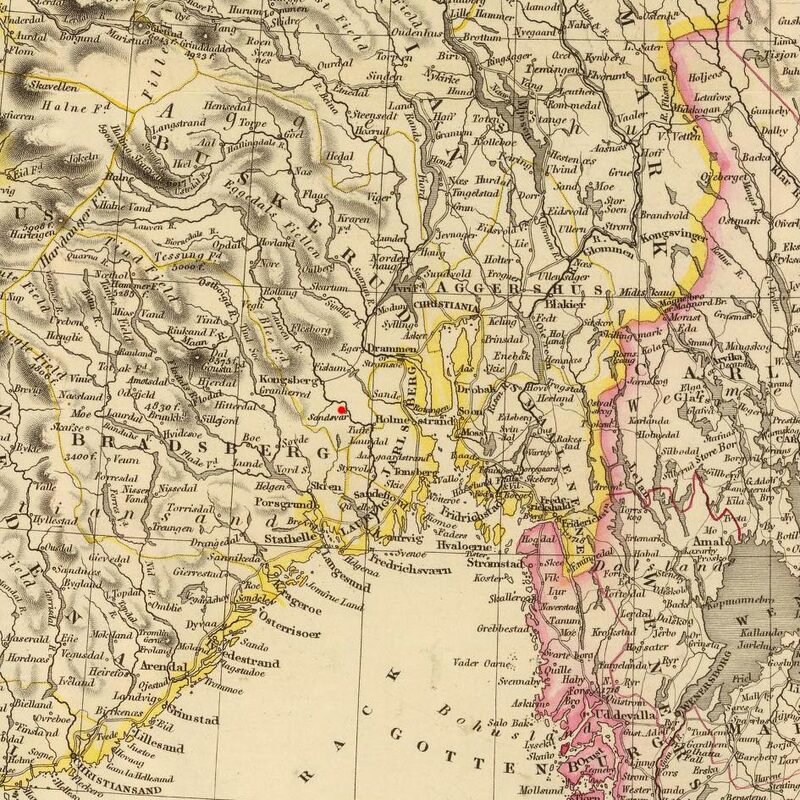 By 6 Oct 1872 (when son Olaus receives his confirmation), the Haugen family relocated to Visnes, on the island of Karmøy in the Avaldsnes Parish of Rogaland County. It appears that Hans was either looking for more steady work that wasn't as seasonal, or was just done with farming alltogether. Either way, Hans brought his wife, sons Olaus & Thorvald and daughter Thea Andrine. The rest of the children had already moved out of the house and had their own jobs and lives in the Sandsvaer area. Once in Visnes, Hans' took up work as a miner in the copper mines at Visnes. The Visnes Copper Works were a busy place at this time as copper had just been discovered at the site in 1865. During the 1870s it was the largest copper mine in Norway. Visnes accounted for 70% of Norway's exported copper, some of which was used to create the Statue of Liberty. There is even a small sculpture of the Statue of Liberty and plaque in Visnes commemorating this. B The Sandsvaer farm book says that Hans Jorgen and the rest of the Haugen family left Haugen for about 8 years around 1848, however I have found no proof to back this up. 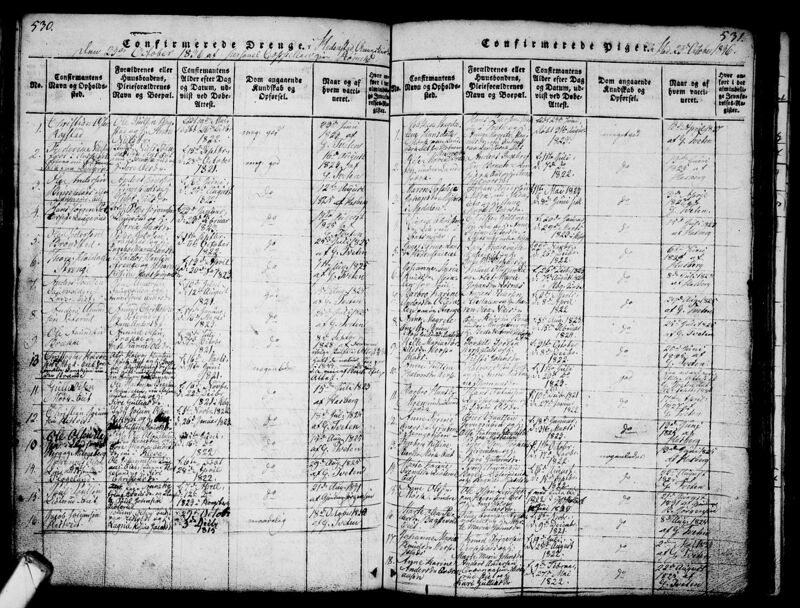 All the Haugen children are born in the same parish register and all are listed as Haugen under Landsverk or in Hedenstad, the Kolsrud farm is nowhere to be seen on any of the baptism records.